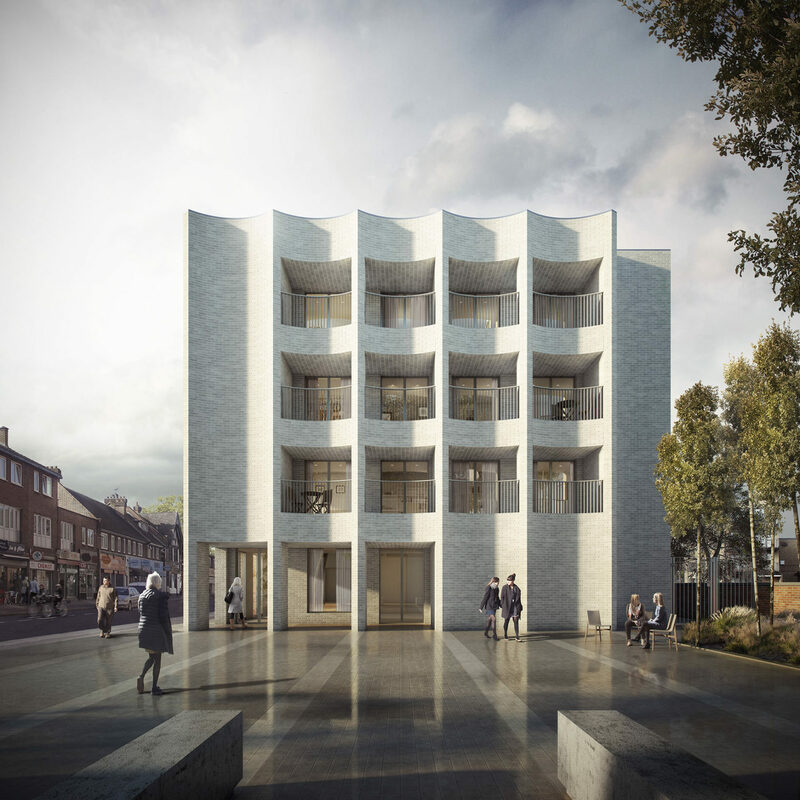 Planning consent has been granted for a further 26 affordable flats, retail space and a new public square in Rotherhithe. The development for Southwark Council comprises 14 flats for social rent and 12 intermediate flats between the distinctive churches of St. Olav’s Norwegian Church and the Finnish Church. The scalloped white brick façade, with its grid of balconies, is a response to the Scandinavian modernism of the Finnish church opposite.